The history of Java is very interesting. Java was originally designed for interactive television, but it was too advanced technology for the digital cable television industry at the time. The history of java starts with Green Team. Java team members (also known as Green Team), initiated this project to develop a language for digital devices such as set-top boxes, televisions, etc. However, it was suited for internet programming. Later, Java technology was incorporated by Netscape. The principles for creating Java programming were "Simple, Robust, Portable, Platform-independent, Secured, High Performance, Multithreaded, Architecture Neutral, Object-Oriented, Interpreted and Dynamic". Currently, Java is used in internet programming, mobile devices, games, e-business solutions, etc. There are given the significant points that describe the history of Java. 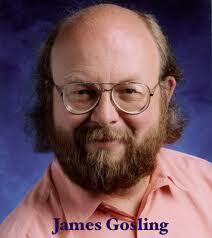 3) Firstly, it was called "Greentalk" by James Gosling, and file extension was .gt. 5) Why Oak? 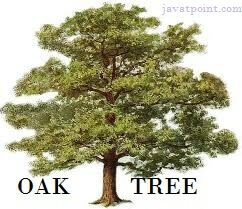 Oak is a symbol of strength and chosen as a national tree of many countries like U.S.A., France, Germany, Romania, etc. Why Java Programming named "Java"? 7) Why had they chosen java name for java language? The team gathered to choose a new name. The suggested words were "dynamic", "revolutionary", "Silk", "jolt", "DNA", etc. They wanted something that reflected the essence of the technology: revolutionary, dynamic, lively, cool, unique, and easy to spell and fun to say. According to James Gosling, "Java was one of the top choices along with Silk". Since Java was so unique, most of the team members preferred Java than other names. 9) Notice that Java is just a name, not an acronym. 10) Initially developed by James Gosling at Sun Microsystems (which is now a subsidiary of Oracle Corporation) and released in 1995. Many java versions have been released till now. The current stable release of Java is Java SE 10. More Details on Java Versions.